Every once in awhile I like to go and have a reading done just to see where things are headed and gain any insight as to what issues I need to be aware of. I don’t necessarily go to know my future, but to see that I am on the right path. Plus, they are always so interesting and you can learn so much about yourself! My best friend, Meesh’l, in Winnipeg recommended I have a tarot reading done by a woman she knows who lives in her city. Her name is Celeste Taylor, but she is known as the Shamanic Lady. Celeste has been reading tarot cards professionally for the last 10 years and has studied tarot under many great tarot readers. She is also a Usui Reiki Master and Kundalini Reiki Master. Reiki is awesome if you haven’t yet tried it- so relaxing! She is a shaman who also is trained in Hawaiian Huna Kane specializing in Akashic Record Readings and Soul Retrieval. She also does Shamanic Body Mapping Massage, High Alignments, Lomi Lomi Massage and Kahi Loa. As you can see she is one talented lady with a diverse and interesting background! Celeste and I had set up a time for her to call me to do my phone reading. I was so excited and curious at the same time. 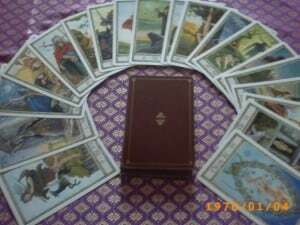 Even though I have had readings before, each one was done differently. Different people sense different things and I was intrigued what I would find out about myself. I had listed a few areas in my life where I have questions and the top two were health and career. There was specific things I had written down so I wouldn’t forget to ask about. Celeste phoned me promptly at our scheduled time. She was very pleasant and nice on the phone and instantly I felt comfortable talking to her. It was like talking to a friend actually. She started my reading with my Soul Path and explained how it was figured out based on my date of birth. I have a number 5 Soul Path and she told me that my values will stay the same throughout my life and I won’t be fluctuating all over the place in terms of what’s important to me and my goals. She said I am going to become the authority and give out the rules to other people and basically take the information I learn and distribute it to others. I would be an “expert” at something and people will take my advice. I thought this makes sense since I do enjoy helping others and sharing my knowledge with others and help them to better themselves. She said I would be good in nursing, social or counselling. I always try to help others in the blog world so maybe that bit of insight could be applied there as well. My ongoing challenges associated with my Soul Path were interesting. She said I would question authority and have trouble assimilating which would result in conflict. This makes sense to me. I grew up feeling like I never belonged and I was on the outside looking in at everyone. It was a feeling that has stayed with me through the years. Another soul challenge was dealing with grief and periods of disappointment throughout my life. During these sad times, I would shut myself away, but then pull out of it and going on with my life. This was something that really reasonated with me. I have had these periods in my life where I have been depressed. The past five years has been especially tough dealing with my chronic pain. I would often get into “funks” and lose the desire to do anything. Most times this was when the pain was high. I wouldn’t want to talk to anyone or see anyone. I always managed to pull myself out of these states and get through the pain and it realize that it will get better. I was just amazed with everything Celeste was telling me. She went on to talk about other challenges I would face and they were very insightful. She mentioned that I wouldn’t find out what I wanted to do with my life until I was older which is so true. I never knew what I wanted to do out of high school. When I was in my 20s, I became an accountant, but in my heart, I knew it wasn’t what I was meant to do. Even now in my early 30s, I struggle with what to do, but feel like everything is on hold until I can at least properly manage my pain. Next, Celeste talked about my Yearly Influence and told me that my influence for 2010 was the tarot card, The Wheel of Fortune. This is a year for life changes where career moves to the next level. It’s also a luck year so I will have both good luck and on the flip side, bad luck as well. Celeste said this is my year to shine and to get noticed. I have a greater chance of winning prizes in a luck year and unexpected things will happen more often. She also said that people from my past whom I haven’t seen or heard from in years will come back into my life. I have felt very fortunate this year with both my relationship with John and my blog. I finally feel like I am doing something that comes naturally to me. Accounting never did come natural! I also love getting up every morning to work on my blog. I feel very fortunate for all my blessings this year. Celeste asked if I had an specific questions she could answer with the tarot and instantly I wanted to know about my health. Would I ever be able to find help in Canada for my pain? Currently I pay out of pocket to travel to the US to see a doctor. My pain is not recognized by Disability in Canada, but it is in the US. I feel frustrated that the government has basically left me to fend for myself both financially and medically. I hate borrowing money to get help, but I will do what I have to. Unfortunately, the cards were not in my favour for this particular question. Celeste said it is going to be very slow going to get the help I need in my own country and I haven’t yet found the right person here to help me. It could be years before I find what I am looking for. I was sad about this, but not surprised. I have lost faith in the Canadian medical system. I asked the big one that I pray everyday for- will I ever be normal and without my pain? Celeste said there will be an abatement and I would get better, but still experience those pain flare ups from time to time. She did say that I would learn how to control my pain and learn more about the mind-body connection. She even gave me some deep breathing exercises and meditations to do to help me. I thought that was really wonderful for her to go above and beyond her regular reading and show how compassionate and caring of a person she is. She answered more of my questions which I won’t go into here or I will be writing a book! I was very impressed with my reading and Celeste and would definitely go back to her for another in a few months. I had one tarot reading before Celeste and Celeste was hands down the best one! I am grateful for her help and letting me look at my life situation in a new light. Sometimes it takes someone to point out what seems obvious on the outside, but when you are living it you totally miss it. Celeste cleared up many of my concerns and gave me a new more positive outlook. Thank you Celeste! 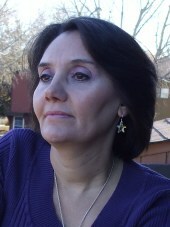 Visit Shamanic Lady and learn more about Celeste. She does both phone readings and email readings. She is worth checking out!